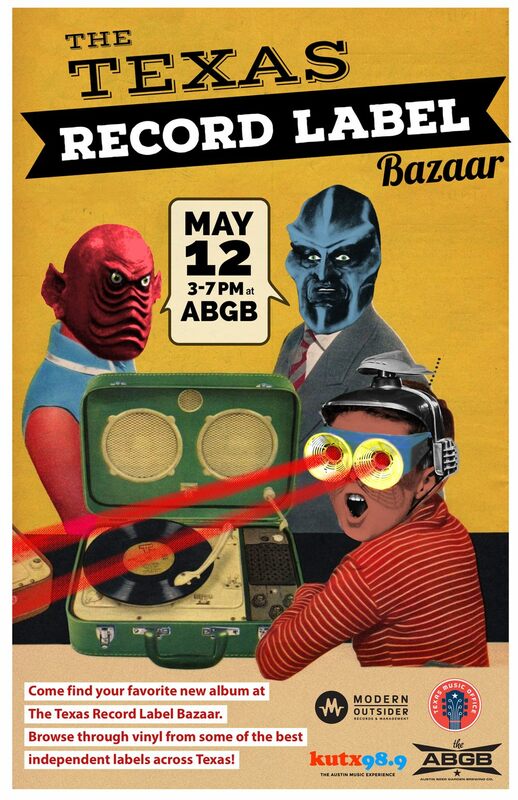 The Texas Music Office joins forces with Modern Outsider Records + Management, KUTX 98.9, and the ABGB to present the Texas Record Label Bazaar on Saturday, May 12th in Austin at the ABGB from 3pm - 7pm. More than 20 Texas record labels from Fort Worth, San Antonio, Houston, and Austin will come together to sell their vinyl records, various label & band merch...and to celebrate Texas music! Come find your favorite new album at the Texas Record Label Bazaar. Browse through vinyl, CDs and merch from some of the best independent labels across Texas! The Amurica TX photo booth trailer will be on site plus Fine Southern Gentlemen will be screen printing rad tote bags for carrying all of your new records!